We have winners! Many thanks again for the numerous submissions, it yet again was hard to choose the winners and honourable mentions - you are truely a very talented readership! David takes the crown this time around. A very fine photo, a big, blazing fire and a beautiful sky and background. 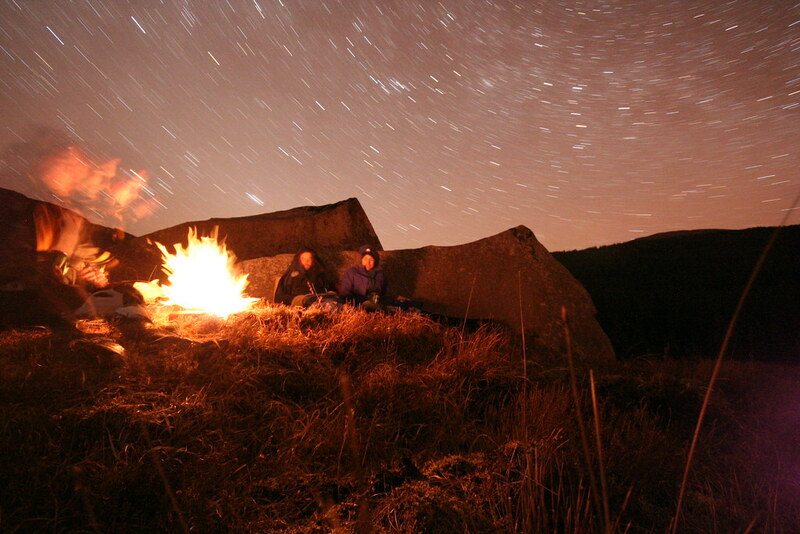 After a day of bouldering the three friends sit around the fire, while the starry sky is circling above them. While there is a lot of movement in the photo, I find this is part of the charm of it. All in all a very fine photo that interprets the topic of fire well, and adds a scent of adventure, friendship and nature to it. 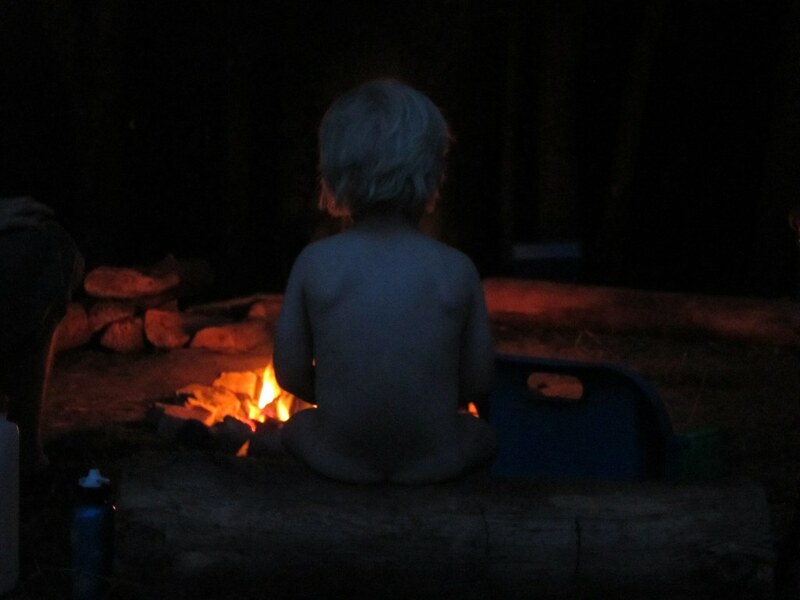 Gareth submitted a very beautiful and touching image of his son taking in the fire. You can imagien how the little boy enjoys the warmth of the fire after a cold & wet day, and just stars relaxed into the Wilderness TV channel. A beautiful, very emotional image that communicates warmth and security. 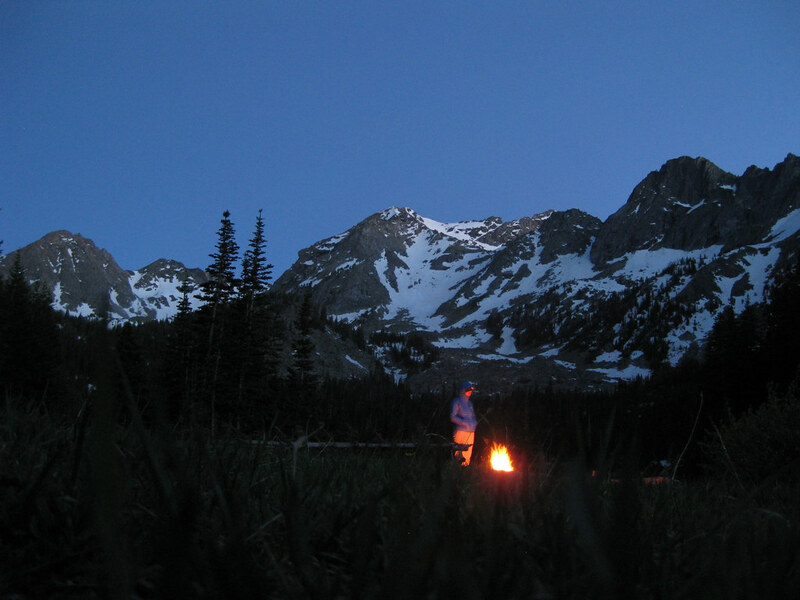 Sam’s fianceé contemplates life at a campfire in the Madison Range. Magnificent scenery was my first thought. I like how the fire and person are just subtle parts of this photo, the mountains, snow and tree tops grab a lot of attention, and I can imagine how a fire in such a setting is like a beacon of warmth and “civilization”. All three of you, please contact me via email. 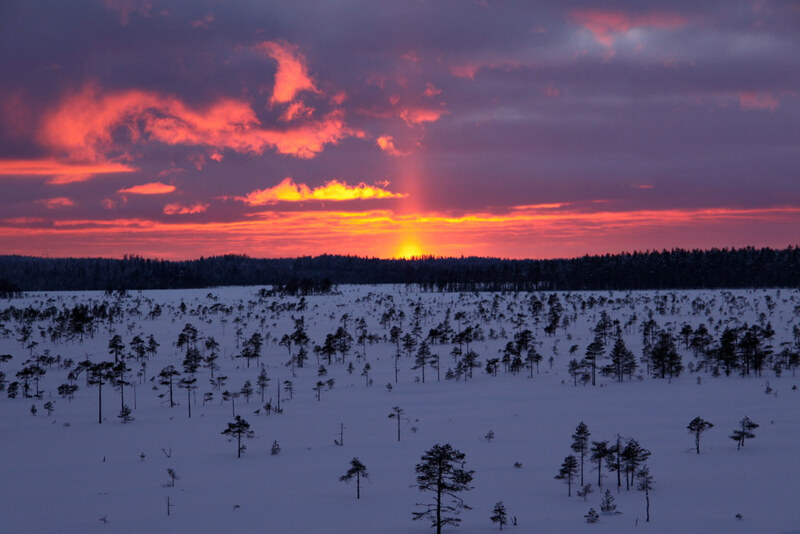 Each of you wins an awesome Light-My-Fire Swedish FireKnife! Kermiitti’s dog, who’s sleeping peacefully by the fire. An emotional and peaceful photo. Christopher and his wife thru-hiked the PCT this year, and this was the fire they made on the 2nd last day on the trail. A fine way to celebrate a great achievement! 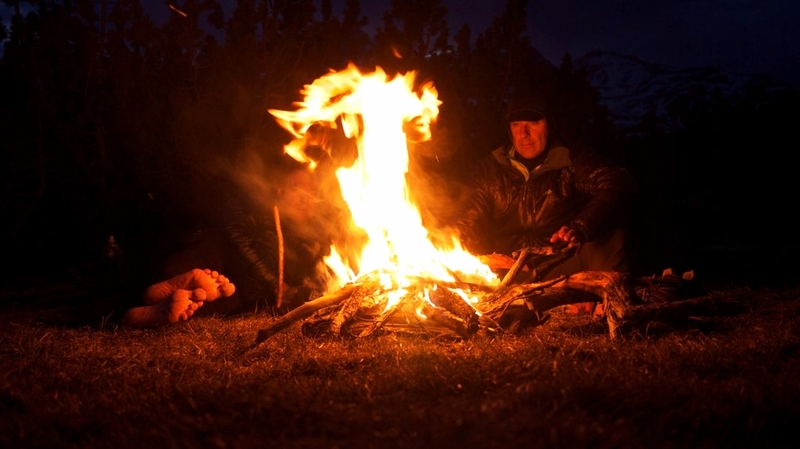 Beni and Anatol warming up by the fire on a trip in the Alps earlier this year. Contemplating, warming up, while in the background you can see hints of the scenery. Again, a big THANK YOU to all participants. It was a great pleasure to go through all the different, creative and beautiful photos & stories which were entered, and it was a tough job to pick the three I liked the most. Later this month the 3rd round of this photography contest will come around, so keep your cameras ready! All rights to the shown photos are with their respective owners. Thank you for allowing me to showcase them.